Is your Apple device not working like it should? Or maybe you’d just like a check-up. Whether your Apple product is in or out of warranty, we have the techs and the tools to get your problem fixed right. 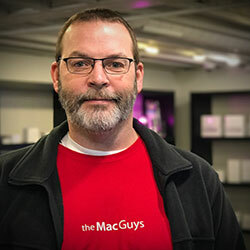 The Mac Guys has been Apple’s premiere Service Provider in this area since the 1980‘s. Our staff of expert technicians will have you back up and running again in no time. Sometimes you just need an expert to come and help you in person. 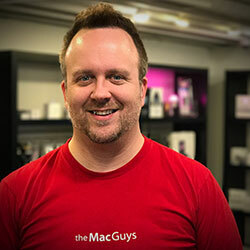 Whether you have a single computer or a whole bunch of Macs and iPads, The Mac Guys will happily come to you! We come out to your location, fix your issue quickly and get things working properly – and you don’t have to unplug your equipment and haul it to our shop. Maximum help. Minimum hassle! Some people enjoy installing a new computer. Some people relish the idea of spending half their day figuring out how to setup their stuff, transfer all their data and configure all their accounts. But maybe you’re not one of those people. Maybe you’re one of those people who would love to have an Apple Expert do all that FOR you so that the first time you sit down at your new computer is to USE IT! At The Mac Guys we love setting up our customer’s Macs for them. 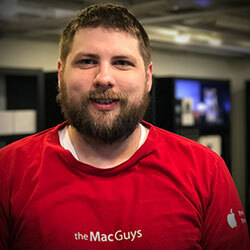 We deliver your new Mac right to your door, get it all set up the way you want it, and give you a basic tutorial before we leave. Would you like help with your Mac right from your home or office? 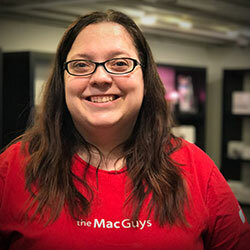 With just a few clicks on your end The Mac Guys can connect to your Mac and help you figure out whatever issue you’re having. 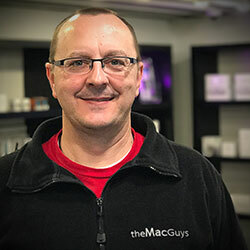 Remote Support is simple and secure, and your issue gets resolved much more quickly than if you had to bring your Mac in to our store.